COLOGNE-President Emmerson Mnangagwa, is now all but unlikely to finish off his presidential term to 2023, amid heart-stopping disclosures this week, that a hardline military confederacy said to be loyal to Vice President, Rtd General Constantino Chiwenga, reportedly wants to sieze power and allow for a three year military-managed Tranisition Authority (TA) led by Chiwenga, Spotlight Zimbabwe, has been told. The hardball securocrats made up of mostly Joint Operations Command (JOC) officials and some retired generals active in government, want the TA in place as a stopgap panacea to prevent total economic collape in the country should the economy worsen to apocalyptic levels where it is headed, and also as a pre-emptive strike to enfeeble the opposition from unseating the ruling Zanu PF party through their planned mass protests, our high level military sources have said. Intelligence at hand also suggests that exiled and fallen Ethiopian autarch, Mengistu Haile Mariam, who is thought to have had an invisible hand in last November’s Operation Restore Legacy coup, which was launched by the military to oust former leader, Robert Mugabe, is also secretly involved in the mooted TA project, through his role as a hired consultant of the Zimbabwe Defence Forces (ZDF). Mengistu is also a special advisor to VP Chiwenga, and in 2005 he infamously advised Mugabe to launch Operation Murambatsvina, in the form of a security advise, warning the former leader that the swelling slum and backyard population in Zimbabwe was creating a fertile ground for a mass uprising. The revelations come at a time when there are fierce power tussles inside Zanu PF, with the party breaking away into a whole new sheaf of factions split among Mnangagwa, Chiwenga, War veterans, and G40 remnants still baying for Mnangagwa’s blood. Although there’s been cosmetic unity and political window dressing in the ruling party at recent rallies, party insiders contend that the center cannot hold anymore, and the revolutionary party is headed for a deadly implosion, on the backcloth of local media reports a few days ago that Chiwenga is plotting to resign from his post as VP after the Zanu PF Esigodini congress this month, to enable him free time to plan for the presidency succession effectively. 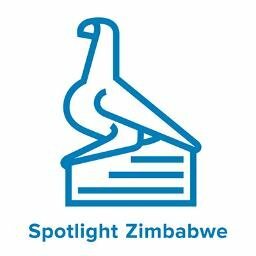 Spotlight Zimbabwe was the first online publication to reveal last month, that Chiwenga was reportedly on his way to become president of the country and first secretary of the ruling party before the next elections slated for July 2023. “Call it another coup or military intervention, but it is coming, and we might soon witness a military managed transitional authority in Zimbabwe in a matter of months,” said one source. Mnangagwa was reportedly warned in October, by the same securocrats to urgently put the country’s economic house in order, as they feared a possible popular uprising over his administration’s new extortionate taxes, uncontrollable price escalations, and growing shortages of fuel and food, a test which he has dismally failed it might appear. Other sources close to military intelligence operatives said Chiwenga’s supporters inside Zanu PF and government had endorsed a plan for him to support a Government of National Unity (GNU) with opposition leader, Nelson Chamisa, as the move “would weaken Mnangagwa” and position Chiwenga to be the party’s alternative presidential candidate for 2023. “Bulawayo province as reported by the press shot down the GNU plan, which meant that the VP’s supporters political plan hit a snag,” the sources said. It is also coming to light that some top security bosses have been unsettled by the Kgalema Mothlante Commission Report findings, which remain classified and confidential. They fear the content of the report’s recommendations and conclusion, could result in some of them being either demoted or fired altogether, as the president can cite the report in making changes to the sensitive national security leadership regime, sources added. Commissioner General of Police Godwin Matanga, has reportedly been sent on leave pending redeployment as an ambassador, amid speculation that the redeployment may have been necessitated by the statement in which the police boss graphically used to describe the August 1 killings before the Commission of inquiry. This is not the first time that the country has had talk of a transitional authority. In 2008 Zimbabwe’s civil society organisations campaigned for a transitional authority to usher in democratic reforms, and have a limited mandate to oversee the drafting of a new, democratic and people-driven constitution and the installation of a legitimate government. In June this year, ahead of the July presidential polls, political analyst and academic Ibbo Mandaza said that a national transitional authority was the only way for Zimbabwe to move forward. “We have been facilitating the talks since 2015 and, in light of what we think would be a disputed election, we are focusing on a post-election transitional authority so as to bring about peace and reconciliation, and a return a to constitutionalism which includes the army going back to the barracks,” Mandaza was quoted by the media. 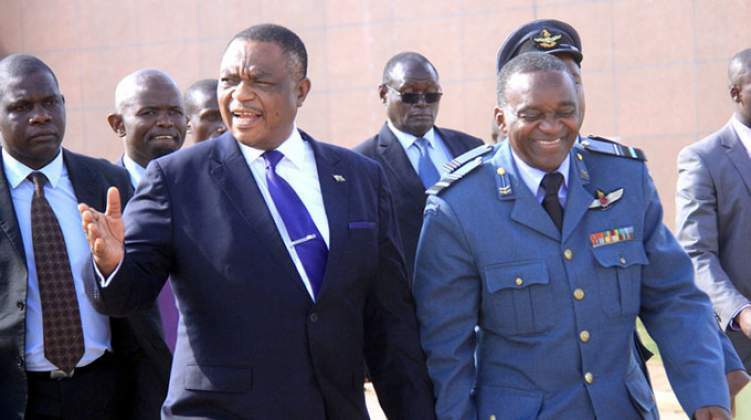 A minister in Mnangagwa’s cabinet who corroborrated reports of the imminent establishment of the military-managed TA, said the agenda and function of the mooted TA “will be to implement a command economy until 2022”, while Chiwenga is head of state. When two elephants fight. It is the grass that suffers! What a clever way by the General to kick out Mnangagwa, after realizing that he does not intend to leave office and will likely amend the constitution for a life presidency.